CHIBA, Japan -- Ryuichi Katsumata, one of Japan's top Toyota dealers, brings a new twist to old traditions in a land where selling cars can be very, very different from what occurs in the United States. Heir to the founding family of Chiba Toyopet Co., which sells nearly 17,000 vehicles annually at 59 locations, he keeps some things old school -- like selling cars door to door. But Katsumata -- who has a penchant for rock guitar and designer suits -- takes a wider world view than his forefathers. For starters, his training entailed a one-year stint in Toyota's assembly plants. Then he flew to Los Angeles, where Toyota Motor Sales U.S.A. Inc. put him to work in a Lexus store. When he returned to Japan, Katsumata had to grapple with something all but unheard of to his predecessors, who saw ever-increasing sales on the back of Japan's booming postwar economy and Toyota's relentless climb to becoming the world's biggest automaker. The new challenge was how to keep the family empire growing amid a decade-long decline in domestic auto sales triggered by Japan's economic collapse. Not surprisingly, Katsumata looked overseas. And in 2009, he was billed as the first independent Japanese dealer to open a store in China. "A company that doesn't constantly change can't be a stable company," Katsumata said in an interview east of Tokyo at his head office, styled like a slope-roofed Japanese temple. 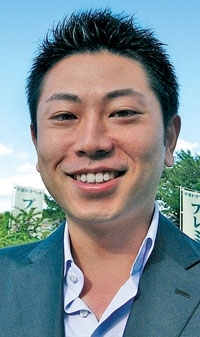 Katsumata's ascent -- he was appointed president of Chiba Toyopet in February at the tender age of 31 -- highlights the challenges dealers face in one of the world's most moribund car markets. And it illustrates how tightly interwoven Toyota Motor Corp. is with dealers in its Japanese backyard, where the Toyota Group claims 42 percent of all vehicle sales. Dealerships in Japan are usually either factory-owned or privately held, family-run businesses. The model of publicly traded retailers, such as AutoNation Inc. in the United States, remains rare. Toyota Motor Corp. runs 16 of the 283 retailing companies selling the Toyota and Lexus brands in Japan. But most of the factory-owned dealerships are centered in major metropolitan areas such as Tokyo. Family-run Chiba Toyopet got into retailing early and focused on the sprawling Tokyo suburb of Chiba. Ryuichi's grandfather, Toyojiro Katsumata, founded the company as a Ford dealership in 1947 and picked up Toyota nine years later. Ryuichi's father, Motoo, dropped Ford in 2007. Today Chiba Toyopet sells the Toyota, Lexus and Volkswagen brands. But Toyota is by far the mainstay, patriarchal brand -- and the dealership, like many family-run Toyota stores, is dutifully taken under the factory's wing. The carmaker actively mentors up-and-coming independent dealers in Japan -- often bringing them to Toyota City for training of up to seven years to immerse them in the Toyota Way. Under the program, dealers usually become employees of Toyota Motor Corp. and are cycled through departments just like the new hires snapped up from universities. During Katsumata's stint, he was posted at dealerships across Japan to learn how rivals did business. He then spent a year in the plants, learning firsthand about the storied Toyota Production System. Toyota says the goal is to create better understanding between the factory and showroom. "When they return to their dealerships, they'll have a network here they can deal with," said Toyota spokesman Keisuke Kirimoto. "And we know it will be easier to deal with them." Katsumata remembers his three years of training as disciplined and eye-opening. Supervisors would slap him on the back of the head for wasting time at computers, for example. But they also taught him to get outside his own mind-set when confronting problems. "For example, if people don't understand what you're saying, it's a tendency of most people to blame the listener. They think that the listener is slow or something," Katsumata said. "But Toyota taught us this is wrong. The real problem is that my explanation was not good enough." Selling cars in Japan can be time-intensive. Salesmen pound the sidewalks going door to door. Enterprising ones personally wash a prospective customer's car just to get face time. But domestic auto sales have slid nearly nonstop for two decades because of Japan's anemic economy, rapidly aging population and declining birthrate. Katsumata understood new tactics were a must to keep his own sales growing. And expanding his horizons was one reason for his Los Angeles sojourn. Toyota Motor Sales tasked him with reviewing the Lexus Benchmark Service program and devising improvements. He immediately saw red flags in the way U.S. dealerships were conducting regular maintenance checks. Cars dropped off in the morning would be returned in the evening after the whole day's batch had been completed. But Katsumata argued that it was more customer-focused to return each car after it was finished. His suggestion cut a whole day's wait down to 45 minutes. "This is something we brought from Japan to America. We used to do it the same way until about 10 years ago at Chiba Toyopet," Katsumata said of the switch from batch processing. A look at Ryuichi Katsumata, president of Chiba Toyopet Co. Yet, perhaps Katsumata's biggest gambit is looking outside Japan altogether. Domestic vehicle sales have been in a downward spiral since 1990, when sales peaked at 7.78 million. Last year, registrations dropped to 4.61 million, their lowest since 1977. But China's double-digit sales growth is beckoning right next door. Ryuichi's father made the call to go there. And Ryuichi set up a dealership in Shangyu -- a medium-sized city about a three-hour drive from Shanghai -- in 2009, the same year his father died of cancer. The venture was fraught with language and cultural hurdles. "The technicians there don't have great manners. They often just toss their tools around," Katsumata recalled with a smirk. Chiba Toyopet dispatched Japanese mechanics from the home office to live in residence in China, while bringing Chinese counterparts to Japan for training. Now Katsumata's Shangyu dealership wields a local reputation for having genuine Japanese technicians servicing its Toyotas. The move trades on a quality mystique enjoyed by Japanese brands in China, despite that country's lingering ill feelings toward Japan over World War II. "They often say they hate Japanese but love Japanese products," Katsumata said. "They'll pay double for something that simply says 'Made in Japan.' "
Katsumata's sales in China were a modest 335 vehicles in the first seven months of 2010. And the company forecasts full-year sales of around 480, down from 500 in 2009. Katsumata blamed the retreat on the impact of Toyota's global recall crisis, which hit China hard. But he aims for 800 units in 2011 and has long-term plans to open more shops there. In the meantime, Katsumata wants to open his first store in Vietnam within five years. The one market Katsumata's not interested in tapping? The United States. Years ago, expanding across the Pacific was on the table. But Grandfather Toyojiro ruled it out because it would take too much investment to play catch-up in a market that was already mature. "China, Vietnam, Asia is much better," Katsumata said. "Those economies are growing quickly, and the countries are much closer."